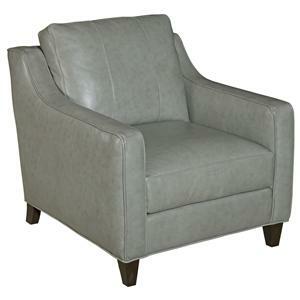 Add this stylish stationary chair to your living room, family room or home office for the perfect accent piece. 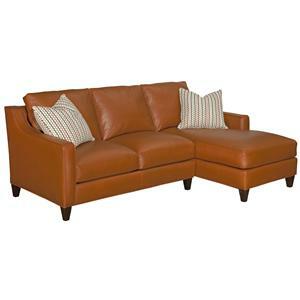 The clean, modern design features sloping track arms, tapered wood legs and plump box cushions. Curl up with a book or watch your favorite show as you enjoy the comfort and support of this contemporary upholstered chair. 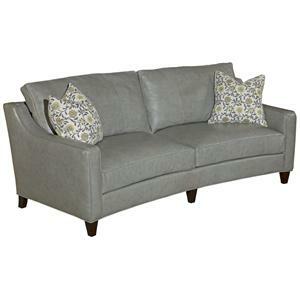 Spice up your home with the chic transitional design of this stationary sofa. 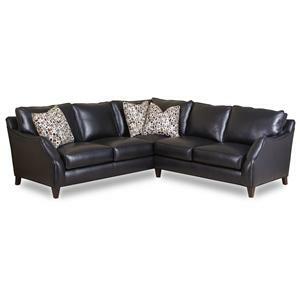 This three seat sofa features three plump box seat and back cushions for the ultimate comfortable seating while watching the big game or reading a favorite book. Gorgeous wood block feet and sleek rolled key arms add contemporary style to the room. Enhance your living room with this contemporary styled stationary sofa. The clean, modern design features sloping track arms, tapered wood legs and plump cushions. Two accent pillows add a pop of personality to the sofa. Curl up with a book or watch your favorite show as you enjoy the comfort and support of this sofa. 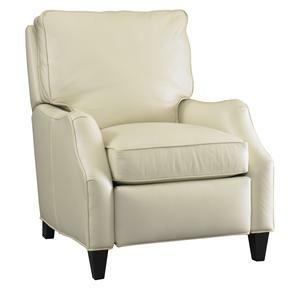 Relax after a long day in this casual leather recliner. This chair features a button tufted back cushion, and welt cord trim adorns the T-shaped back cushion, box seat cushion and square track arms. Tapered wooden legs complete the look of this transitional chair, which will fit in a variety of decor schemes from traditional to contemporary. Choose from a variety of upholstery options to customize the look of this lounger to fit the style of your home. 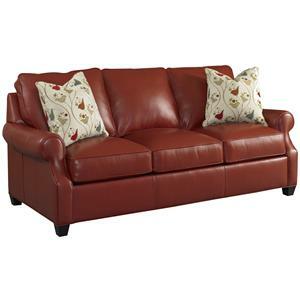 This queen sleeper sofa makes the perfect space for guests in any room in your home. A comfy and stylish stationary sofa by day, it easily transforms into a queen sized bed for overnight guests in seconds. 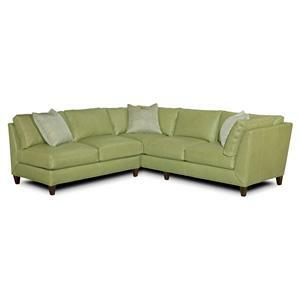 This sofa features box seat cushions decorated in welt trim, sloping track arms, and loose back cushions in a comfortable three over three design. Tapered wooden block legs complete the look of this stylish sofa sleeper. This corner sectional sofa makes a fantastic contemporary update for any modern home. It features sleek styling with clean lines, sloping track arms and tapered wooden legs. A one-armed loveseat and one-armed corner return sofa work together to create this L-shaped sofa, which is decorated in welt trim along the box seat cushions, loose back cushions and frame. Everyone will love having to have a place to sit on this expansive sofa. Bring this contemporary sectional sofa into your home for a boost of modern style and comfortable design. This sofa features a chic one-arm look, with one high track arm. Loose back cushions create a plush place to lounge and relax. Square accent pillows add an extra dash of comfort and style, and tapered wooden legs add to the contemporary style. This sectional is made of a stationary sofa combined with an armless loveseat. Enhance your home with this contemporary styled two piece sectional sofa. The clean, modern design features sloping track arms, tapered wood legs and plump cushions. Two accent pillows add a pop of personality to the sofa. Curl up with a book or watch your favorite show as you enjoy the comfort and support of this sectional sofa. This sectional will add comfort and style to your living room, family room or home entertainment room. Unlike your average recliner, this contemporary 3-way lounger is both sleek and chic. Wrapped with a shiny leather upholstery, this chair offers quality comfort and style all-in-one for a lounge experience you'll never forget. In addition, sloped track arms and tapered wood legs add to its modern flair, creating a look and feel that will update any room. From its plush seat and back cushion to its easy-to-use push-back recline mechanism, this lounger offers a comfortable and stylish place to sit and relax. 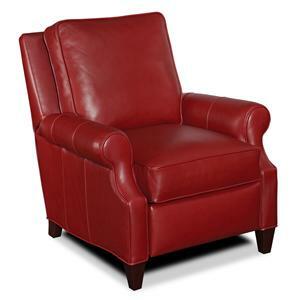 Relax and recline on this stylish Leather Recliner in any room of your home. Its contemporary styling will go well in a modern home. The tapered wooden legs create a stylish look for this comfort lounger. The rolled arms and welt cord trim take it even further in the style department. 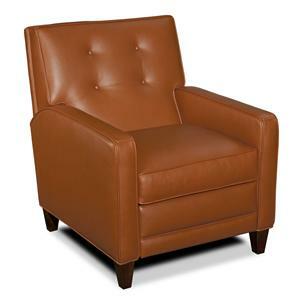 Choose from a variety of leather options to customize this chair to your home's decor and style. Connecting with those you care about in a comfortable environment has never been more important to you. At Bradington-Young, we are dedicated to providing luxurious seating comfort in fine leather upholstery that will help you relax and connect in your family room, living room or home theater. At Bradington-Young, it all began over 25 years ago with one simple philosophy: “Build high quality products for a fair price.” A humble beginning, combined with a burning desire to be the very best, molded Bradington-Young into the premier furniture manufacturer it is today.